Stainless Steel Necklace with flower shape pendant inserted in different color of crystals. Plating Color: Silver, gold, rose gold, etc. 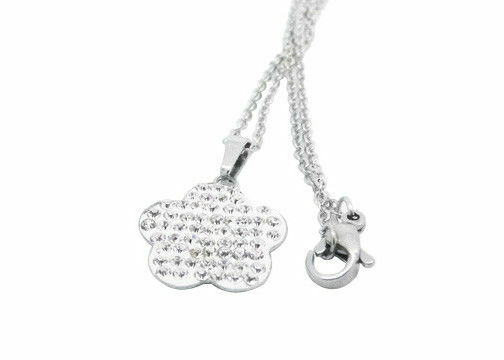 The size of the pendant is 15mm, and the length of the necklace is 450mm. This model contains necklace and pendant.